It is possible to log in to your Nextiva Connect Office Manager Portal and change the credit card on file without having to call into Nextiva Support. Adding a new credit card will update the information successfully. To change the credit card on file for your Nextiva Connect account, follow the instructions below. For instructions on how to change your credit card on file for your NextOS account, click here. As an Office Manager, you can access your administrator portal by clicking HERE. Log in to the portal with your admin credentials. From the main dashboard, click Billing, then click Manage CC, then click Add New Credit Card (Figure 1-1). 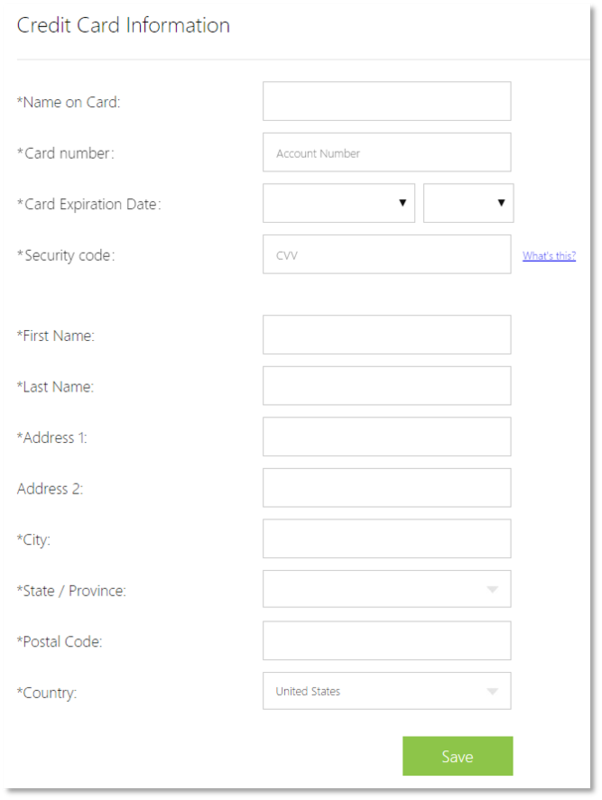 Complete the Credit Card Information form accurately, and then click Save (Figure 1-2). NOTE: Once the credit card has been saved, the new credit card becomes the new default credit card on file. We will process all future billing on this credit card until updated again.